Success! 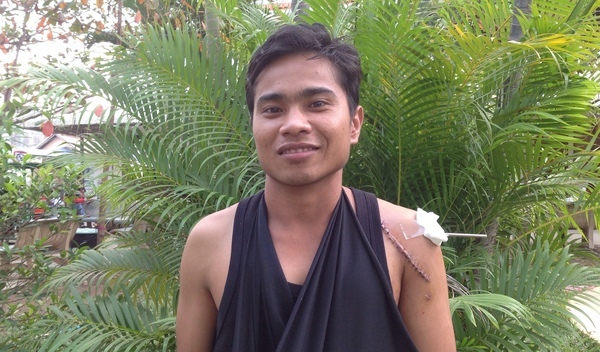 Hak from Cambodia raised $411 to fund shoulder surgery. Hak's treatment was fully funded on July 24, 2017. Hak’s treatment for his left shoulder went well. Surgeons at CSC performed an ORIF procedure and fixated a pin to stabilize the fracture site. Following the procedure, he was given pain medication. He was instructed to keep the pin for approximately three weeks and to use an arm sling for support. His wound has healed nicely, and he does not experience any pain. Hak is now able to move his shoulder more easily than before. 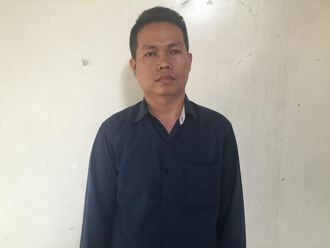 Hak is a 26-year-old factory worker from Cambodia. He is married and has one son. In his free time, Hak enjoys watching TV, listening to music, and looking after his son. Hak’s left shoulder is dislocated, making it difficult for him to use his arm and causing him pain. His doctor at our medical partner, Children’s Surgical Centre (CSC), has recommended an ORIF (open reduction internal fixation) surgery to appropriately realign his left shoulder. CSC has requested $411 for Hak’s procedure and hospital stay, scheduled for February 15. After the surgery, Hak will be able to move freely again. Hak's case was submitted by Korng Hout at Children's Surgical Centre in Cambodia. 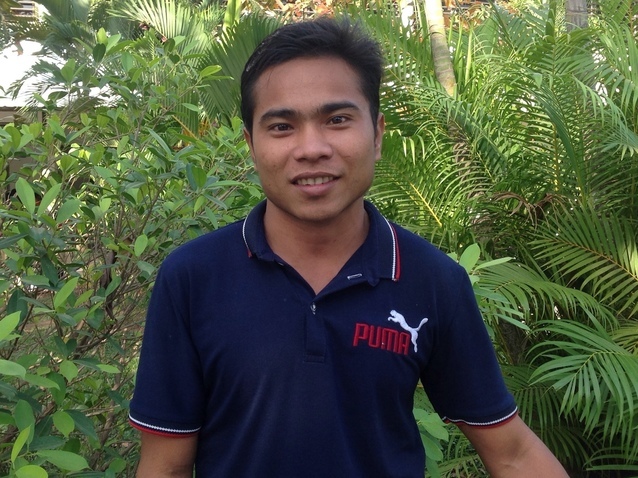 Hak was submitted by Korng Hout, Accountant at Children's Surgical Centre, our medical partner in Cambodia. Hak received treatment at Kien Khleang National Rehabilitation Centre. Medical partners often provide care to patients accepted by Watsi before those patients are fully funded, operating under the guarantee that the cost of care will be paid for by donors. Hak's profile was published to start raising funds. Hak's treatment was successful. Read the update. Hak's treatment was fully funded.